You’re tired of debating the subject with your husband Steve. You’ve argued whether it’s better to use a waterproof, grout-free shower wall panel system or opt for a completely customizable ceramic tile shower. You want the wall panels (after all Steve’s never picked up your way-too-used scrub brush) and he thinks the ceramic tile shower is far more stylish. The question is, how can you end this debate? Do you and Steve really know all the points (and counterpoints), the positives and negatives of both choices? How can you wrap your arms around this debate and FINALLY get something done? You want to make a purchase and get on with your bathroom remodel. In this article my goal is simple. 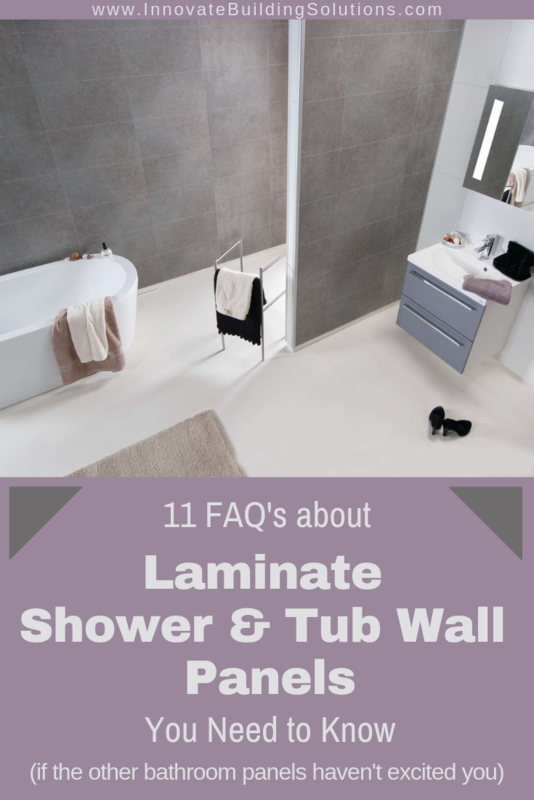 It’s to give you the pros and cons of shower wall panels vs. ceramic tile. Sure, I’ll fess up and tell you I do have my favorite (and will reveal it at the end). However, there are things to like (and dislike) about each choice. Now, without further delay, let’s take a look at the pros and cons of shower wall panels vs. tile. You won’t have to deal with grout maintenance hassles. These pans are lightweight and simple to install. Acrylic is warm under your feet. You won’t need to invest in heated floors. 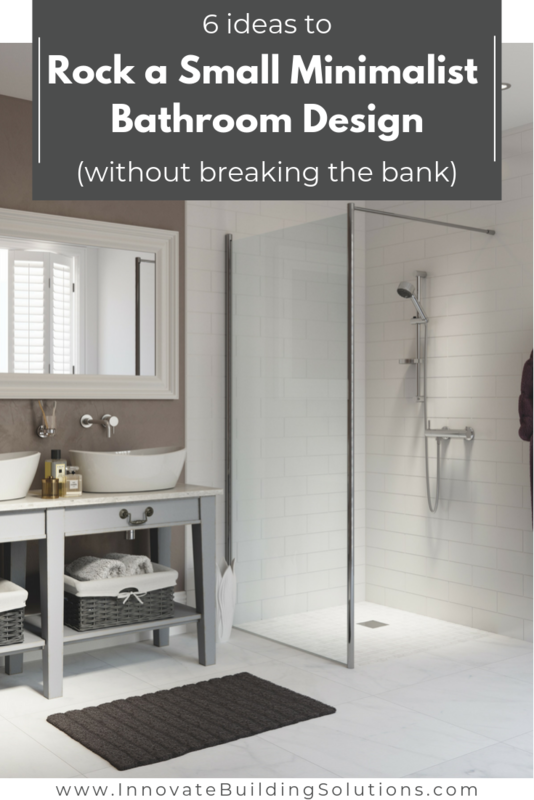 They don’t require resealing – EVER! While acrylic isn’t the cheapest base (that ‘honor’ is with fiberglass pans), it’s still cost-effective. Acrylic bases are flexible enough to be used with tile surrounds or waterproof wall panels. While acrylic bases have a lot going for them, like you and I, they also have their weaknesses (sorry if I’m talking about these bases like they’re people – but bear with me – I’m not really going nuts). These product weaknesses can create serious problems if you’re not knowledgeable and careful. That’s why I’m writing this article. 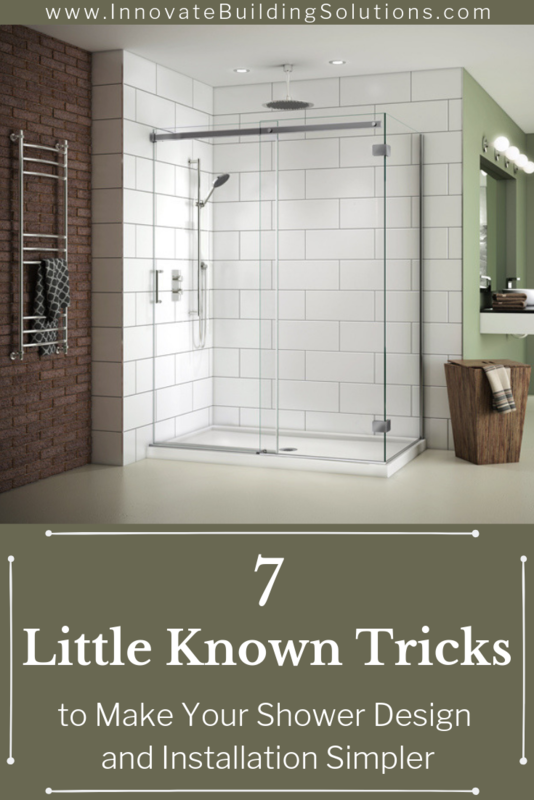 Acrylic shower pan problems are avoidable…if you know the 7 practical ideas I’ll present in this article. 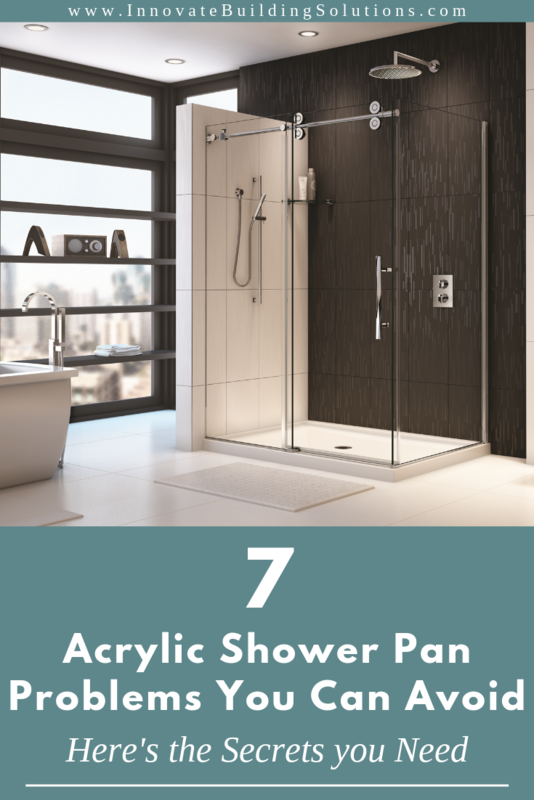 So, let’s learn about the 7 avoidable acrylic shower pan problems with ideas to make sure you get the right pan for your project. When it comes to a bowl of Graeters Chocolate Chip Ice Cream, in my book bigger is always better. My wife Rose (who is also a Doctor), has a slightly different opinion. She thinks my obsession with the big bowls of ice cream I eat at the end of the night is a bad idea. She brings up the fat content. She mentions my cholesterol. She mentions grams of sugar. I say to my ‘delusional self,’ where’s is Rose coming up with all this crap anyway? When it comes to shower wall panels (much like my desire for big bowls of chocolate chip), it’s assumed by professional contractors and DIY homeowners that bigger is always better. However, this simply is not the case. 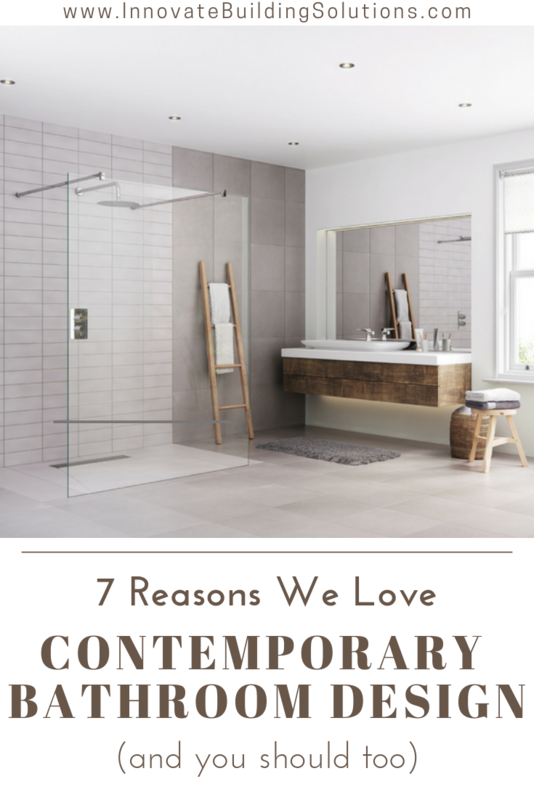 In this article I’m going to dish out (no – you’re not getting my ice cream), 5 reasons you should pause before assuming bigger one-piece shower wall panels are best for your next bathroom remodel. At the end of the article, let me know if you agree that smaller can be better (in shower wall panels, not in my ice cream consumption). Lisa was excited to tell me when she was on vacation, she experienced the neatest thing in the bathroom or her contemporary hotel room. It was a curbless, doorless walk in shower. It didn’t have a flimsy shower door to clean (like her tired bathroom at home). It was safer for her husband Bill to walk into (even though he won’t admit it he’s gained a ‘few’ pounds since his football days of years gone by. His mobility isn’t ‘quite’ the same). Lisa went on to say, this shower would be perfect if her Mom and Dad – who are beginning to show their age – need to move in down the road. Lisa – was excited to explore a walk-in shower for the bath remodel her and Bill are planning to do later this year. With a walk-in shower you’ll get too much water on the bathroom floor. You’ll be cold in there without a full glass enclosure or shower curtains. You don’t have enough room for a walk-in shower. Are you sure you can even do a walk-in shower since your master bathroom is on the 2nd floor? 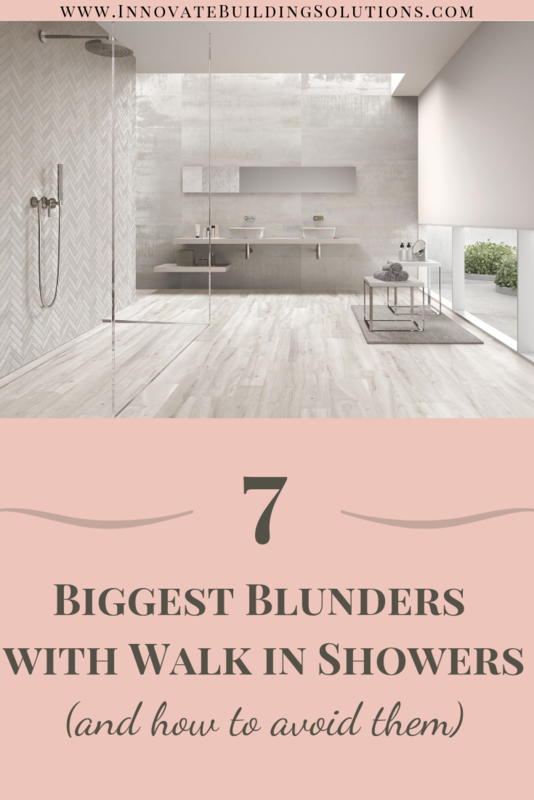 I then offered to share with Lisa the 7 biggest blunders (and misconceptions) I’ve seen with walk in showers. I didn’t want her to repeat. Since Lisa liked these ideas, I thought I’d share them with you. I hope they make it clearer if a walk-in shower is right for your project. Maybe I’ve been in the glass block shower business for too long. I’ve been doing this since 1985 and started at the age of 11 (OK – I’m lying, but I’m going with it to protect my tender, not-so-young age). When you’ve been doing something for a long time you hear a lot of misconceptions, assumptions – or I’ll call it what it is – crap. 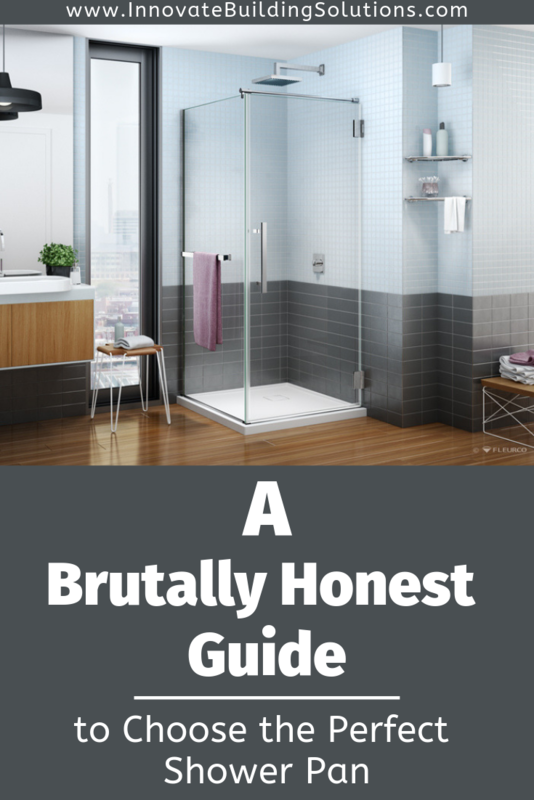 If you’re kicking the tires on a glass block shower, I want to use this article to save you time. I want to use this article to help you dump bad information you get from your neighbor, your relative or contractor who has limited experience with this product. 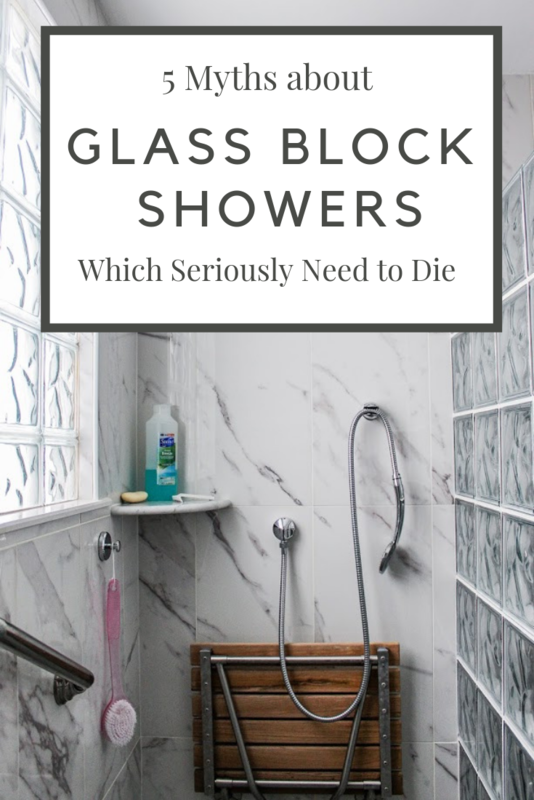 In this article I’ll blow up 5 myths about glass block showers which IMHO seriously need to die. I need to add some stupid things about glass blocks to your list. OK – let’s start busting some myths. I consider myself to be a 100% Italian-American. My Mom and Dad are Italian. Their Moms and Dads were Italian. As far back as we know, all my family are Italian. However, when I eventually complete the ancestry kit I got for Christmas, I’m sure I’ll be wrong. Nobody is 100% anything. If I were to buy a Ford Ranger, A Dodge Ram or a Chevy Silverado they all sound as ‘All-American’ as apple pie. However, it’s estimated approximately 50% of ‘American’ cars or trucks are made up with foreign parts. In fact, the #2 and #3 ‘American-made’ vehicles in 2018 where the Honda Odyssey Minivan and Honda Ridgeline pickup (isn’t that a Japanese company?). You may ask, what’s your ancestry and cars and trucks have to do with an internationally-inspired bathroom and new product innovations from the International Builders Show? A lot, in fact. You see, whether it comes to the car or truck you buy, your genealogy or the bathroom you’re looking to remodel the world of innovation and style is cooked up in a ‘world melting pot.’ If you ‘attempt’ to live your life as a ‘full-blooded’ American (like Opie and Andy Taylor and Aunt Bee from Mayberry R.F.D.) you’ll be missing out on great ideas, cost-effective approaches and trends developed around the world. Not to be political here – but you need to keep those ‘border walls down,’ and those ‘international options open,’ if you want the coolest bathroom at an affordable price. 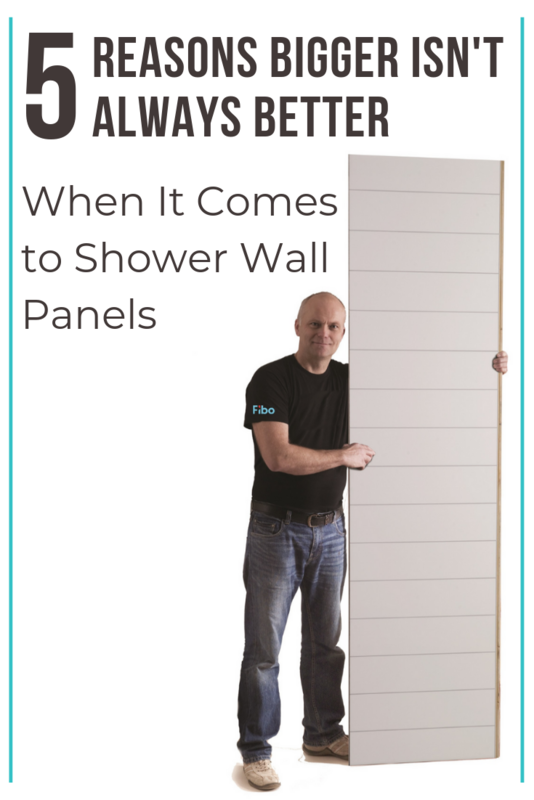 This statement was screaming out at me as I walked the aisles and staffed a booth (with the Norwegian company, Fibo Systems, who makes waterproofed wood-based shower wall panels – if you can believe that!) at the International Builders Shower and Kitchen and Bath Show this week. 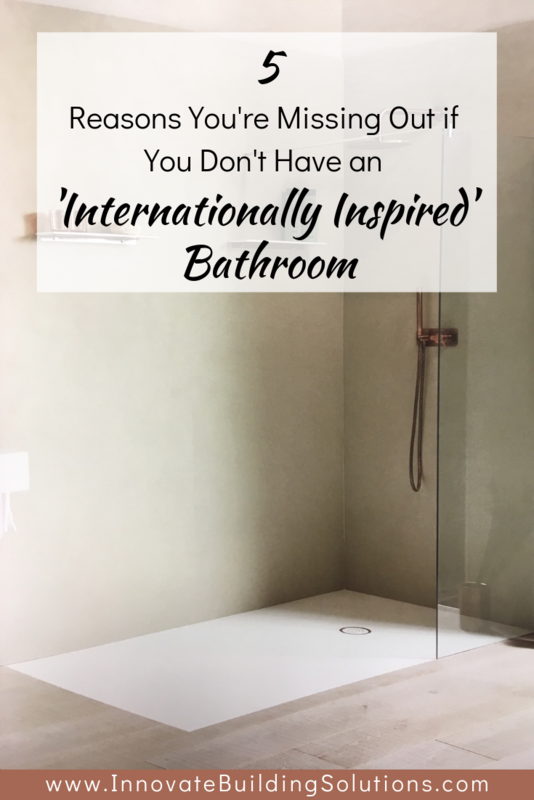 In this article I’m going to argue (although I don’t like to argue a lot), if you don’t create an ‘internationally-inspired’ bathroom you’ll end up paying more and getting less than you deserve. At the end of the article let me know if you agree with me or not. Could these internationally inspired bathroom products ramp up your next project? If your tile and fiberglass shower and tub wall surround panels today are a disaster, you’re not alone. Moldy, dirty tile grout joints. Yellowed, stained and cracked fiberglass. You know you don’t want to stare at (or deal with the maintenance of) these products any more. Option #1 – Bath-in-a-Day acrylic wall panels – These 1/8” thick (or should I say thin) panels aren’t impressive. They’re pressed out of a mold (and look it). You can’t find a DIY kit to save your life (note- the reason for this is the ‘Bath-in-a-Day’ franchises want to come out to hard-close you in an old-fashioned Tin-Men-esque style). Option #2 – Decorative PVC composite wall panels – These ¼” thick panels have many bold patterns. They’re simple to install. You’re just not sure if you want so much pattern in your walls – or if the designs fit your interior design theme. Option #3 – Cultured marble or solid surface wall panels – These man-made 3/8” thick wall panels (which look like marble, granite and stone) are built like a tank. They’re durable. They’re rock-solid. That’s the good news. The bad news is they’re traditional – but you want a contemporary look. They’re heavy (a 60” wide panel will weigh about 130 pounds and takes 2 people to install). They’re an option, but their look and installation scare you. You start to think, is there a contemporary, higher-quality, simple to install option which beats the ‘usual’ choices? In this article my goal is to help you get your arms around that question by giving you information about 11 frequently asked questions about this product. You’ll see why 1/3 of the homes in Norway use these bathroom panels. You’ll see why they’re getting HOT, HOT, HOT in the United States as well. Let’s dig in. Your days are crazy-busy. Now your spouse hits you with their desire (‘er that would be their DEMAND) for a new shower. They tell you your moldy joint, flimsy gold-framed shower enclosure with the teeny-tiny mosaic tiles on the floor has got to go. Worse yet – they’ve elected YOU to be the person to do this job. You knew this day was coming. You’ve been given your marching orders. You can no longer put off replacing the shower in your master bathroom. Your spouse wants a simpler, sleeker and easier to maintain system. You know you just want it to be done (although if you’re being honest you know your current shower should have been replaced years ago). You’ve started your research. The number of products and installation systems is mind-boggling. How do you simplify your shower design while also making installing it easier on you? How can you find easy-to-work-with products which don’t cost you an arm and a leg or your first-born child? Although at times you wouldn’t mind giving up that first-born child who was cuter as a baby than she is as a sassy 16-year-old (OK – that’s a subject for another day). You want to find short-cuts which won’t cheapen your finished project. That’s exactly what this article is about. We’ll look at 7 little-known tricks to simplify the design and installation of your shower. We’ll dish out practical ideas to get you a cool, low maintenance system you can install WITHOUT pulling your hair out (what’s left of it). My goal is to get you back to more important things (like fishing, motorcycling, beer-brewing, watching sports etc.). Let’s dig into the 7 little known shower design and installation tricks. We’ll start at the bottom (with the shower base) and work our way up.